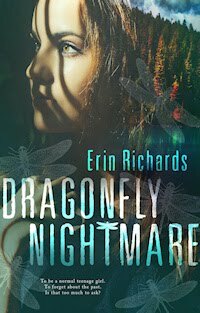 Writerly Ramblings: Early Shipping & More! VIGILANTE NIGHTS is here! I received my boxes of author copies (in hardcover!) a few days ago. I also found out that Amazon is shipping early copies for people who pre-order before its official release date of July 18! Woohoo! I will confess...I can't stop fondling & petting my book! LOL Come on. It's my first hardcover. A dream come true. You'd do the same, right? 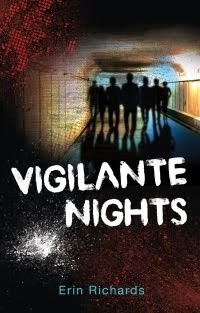 Buy links for Vigilante Nights. The Kindle version is available on Tuesday, June 18. Click to order. If you would like an autographed bookplate for your copy, please email me. 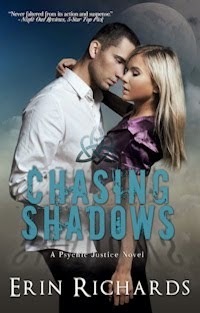 Or if you want an autograph for your eBook edition, all my books are available on Authorgraph. 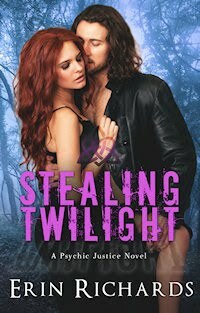 I received a wonderful review of VIGILANTE NIGHTS last week from a winner of my Goodreads giveaway. 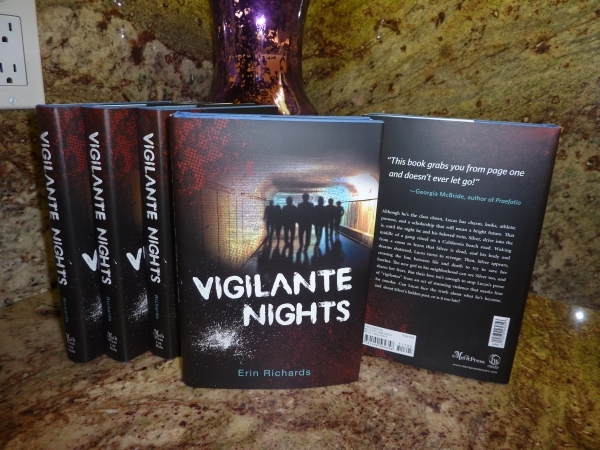 "Vigilante Nights is brilliant for a Young Adult book. It faces the pressure and craziness of teenagers in horrible areas. It's a mystery book with twist and turns at every path, fake or real. Vigilante Nights had me guessing who was the real person who caused the death of Lucas's sister, Silver. 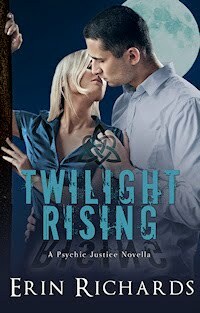 For all those romance book lovers out there, Vigilante Nights is a romance, too. And it is a story of revenge." 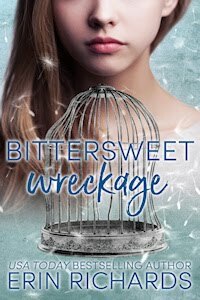 Read the full review: KittiKat Says Blog. "This story is also about his metaphorical swim back to the surface after being seized by the undertow. It's his gasp for air, his decision to fight for his life and for what he's lost, and ultimately, move on. He doesn't forget but he finds, with the support of his friends and family, that perhaps he can heal. Bravo, Ms. Richards. Bravo." Full Review. "Vigilante Nights is a book you won't want to put down." Full Review. 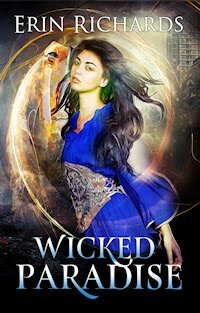 "The story's good; it's well-written, with nicely developed characters. The plot moves along at a swift pace and never lets up. Overall, an interesting and entertaining read." Full Review. 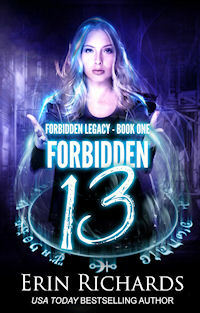 "I was pleasantly surprised to find that I couldn't put it down. 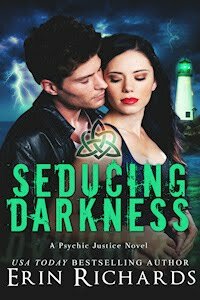 This turned out to be, essentially, a nicely paced thriller with some lightweight supernatural elements." Full Review.